Our department offers undergraduate studies in Communicative Sciences, and graduate studies in both Deaf Education and Speech-Language Pathology. 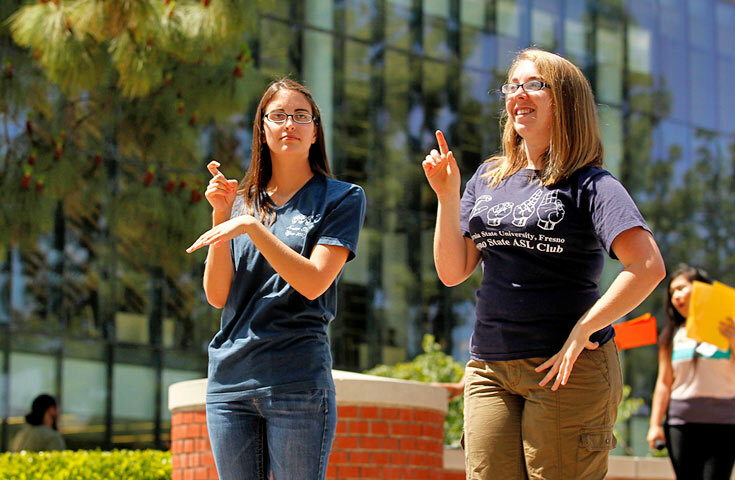 Undergraduate students choose an emphasis in either Audiology, Deaf Education, Deaf Studies, Sign Language Interpreting, or Speech-Language Pathology. Graduate students select either a Deaf Education or Speech-Language Pathology master's program.